TAGS are a powerful feature of NextGEN that many users overlook. You can add tags to any image individually, bulk edit/delete/change tags, and dynamically display both galleries and albums based on tags. When you specify a gallery or album based on tags, NextGEN will look for any image in any gallery that has the specified tag and pull it into a new, dynamically displayed gallery. FROM THE MANAGE GALLERY INTERFACE. 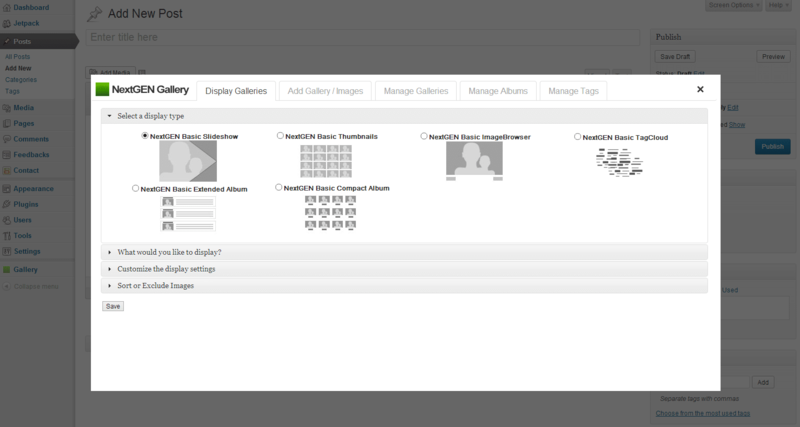 The main place to add image tags is the Manage Gallery page. Along with other meta data like title and caption, you can add tags for any image separated by commas. FROM THE MANAGE TAGS PAGE. 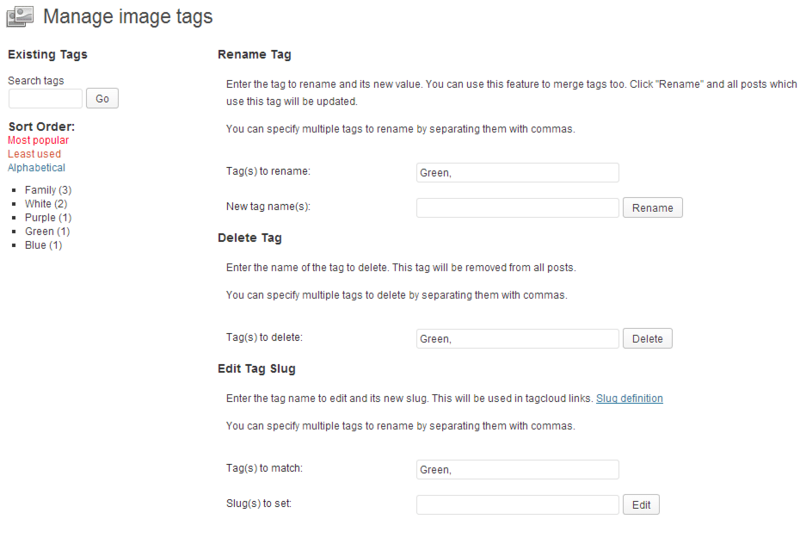 Once you have a large quantity of tags, you can bulk edit your tags from the Manage Tags page. Select any tag and delete it or change it. This can provide an efficient way to manage large quantities of tags and images. DISPLAYING GALLERIES BASED ON TAGS. You can use tags to dynamically generate galleries. In Legacy versions of NextGEN Gallery (v1.9.13 and older) this functionality is only available through use of shortcodes, but starting with NextGEN 2.0, you will be able to do this easy from the new Insert Gallery Window.